The multi award-winning Lough Rea Hotel & Spa is one of the most highly recommended and well know wedding venues in Galway. The management at the hotel is giving you a chance to pay them a visit on Sunday, May 6, from 2pm for a fantastic wedding showcase event, where you can learn all about the new packages they have to offer. View the Grand Ballroom, which will be fully kitted out with wedding decor to give you an idea of what the Lough Rea Hotel can offer your big day. Get a feel of what your wedding reception would be like, with the hotel’s dedicated wedding team on hand to answer any questions you might have, while giving you the grand tour around this fantastic venue. View the stunning new rooftop garden, which boasts panoramic views of Loughrea Lake and the Galway countryside. The rooftop garden is the perfect location to enjoy a glass of champagne with your bridal party and family while your photographer captures these special moments. Sample some of the fantastic food the hotel has to offer, showcasing the best of local fresh produce. Meet top wedding suppliers and enjoy special promotional offers for bookings on the day. 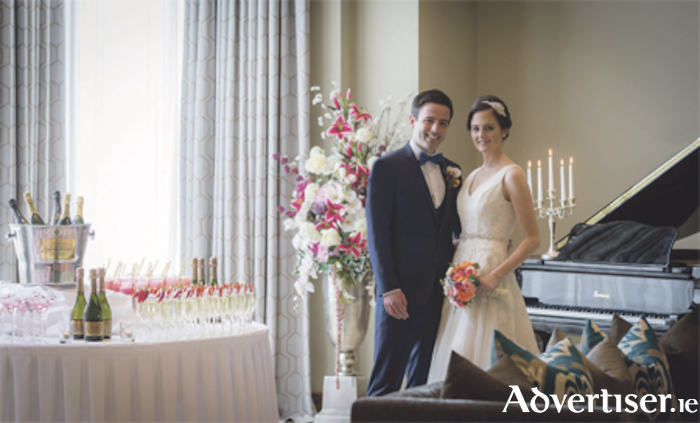 To register your interest contact the Lough Rea wedding co-ordinator, Sally Brogan, on (091 ) 880088. Email [email protected].